-Add all ingredients to a medium to large sized bowl. Mix until crumbly. -Once crumbly use your hands to form a ball of dough - Spraying your hand with baking spray will help keep the dough from sticking to your hand. -Add the dough to your work surface and roll it out with a rolling pin - Aiming for about 1/4 inch thick. -Form a rectangle out the rolled out dough - Use the side of a knife to help you form the edges. -Cut the dough out into 7 equal sized bars. Top with semi sweetened mini chocolate chips. -Refrigerate for at-least an hour for the bars to set. Makes 7 Servings. 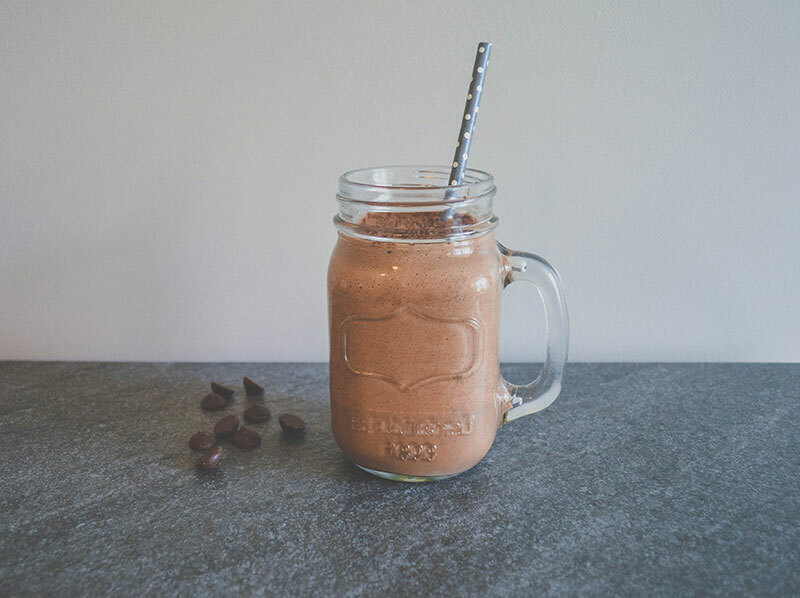 Stay warm this winter with this creamy hot chocolate breakfast smoothie. 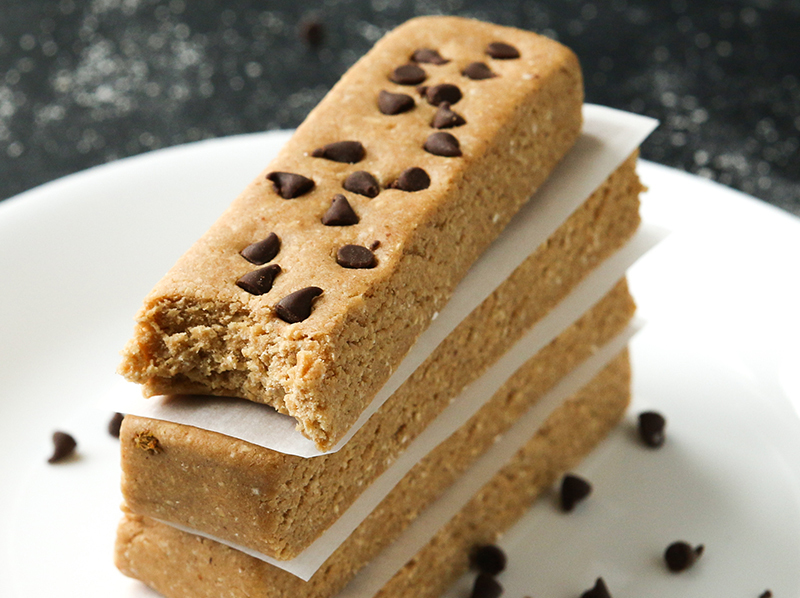 Made with wholesome ingredients and loaded with protein.